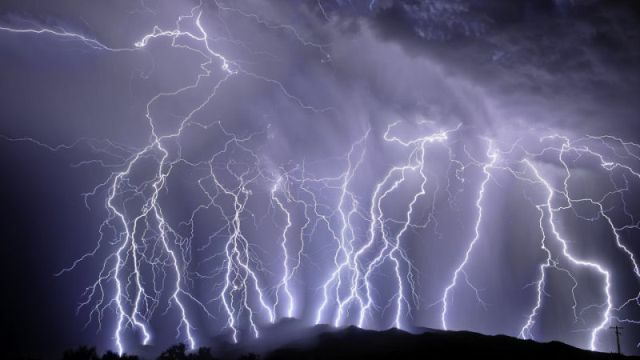 Doti, 9 April : A person was killed and 16 others sustained injuries when lightning struck them in Achham district on Monday night. The deceased has been identified as a 14-year-old Janak Rawal, son of Prasad Rawal of Panchadewal Binayak municipality-7 of Achham district, said Chief of the District Police Office, Achham, Janak Bahadur Shahi. The lightning struck him when he was sitting in the house. Similarly, 12 others of ward no 4, 7 and 8 of the same municipality were injured in the incident and they have been receiving treatment at the District Hospital, Achham, said police. Hailstone coupled with wind and lightning destroyed a huge quantity of crops in hilly districts including Doti on Monday evening.